Here’s how it works. For a new Fall show to succeed, the network has to build and sustain interest as rapidly as possible in the pre-launch weeks. Given the competition from other networks, and the fact that about 50 new shows launch at the same time, the pressure is on ABC to pull out all the stops - vying for the attention of families in the saturated magazine marketplace. Americhip collaborated with ABC, BLT and Weiden + Kennedy to create a tactile magazine insert based on our proprietary Exploding Map™ technology. 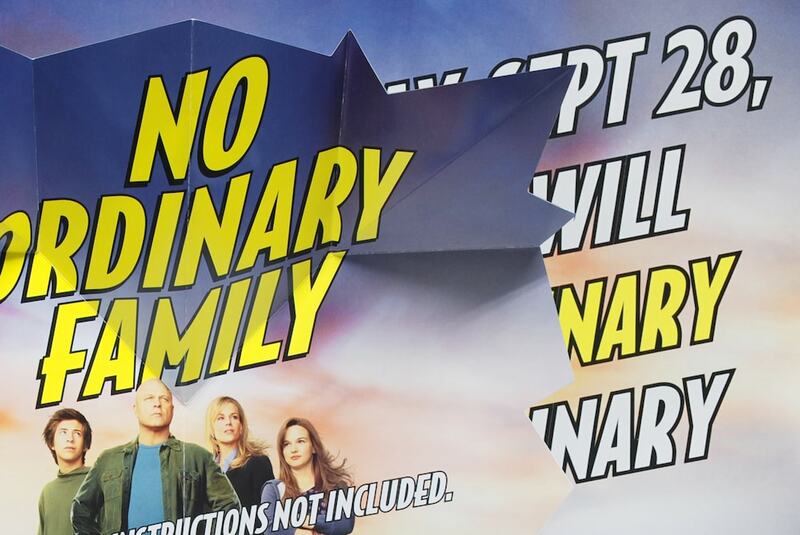 On opening the insert, the cast photograph dramatically reveals itself inside a giant paper fold out that literally explodes off the page! 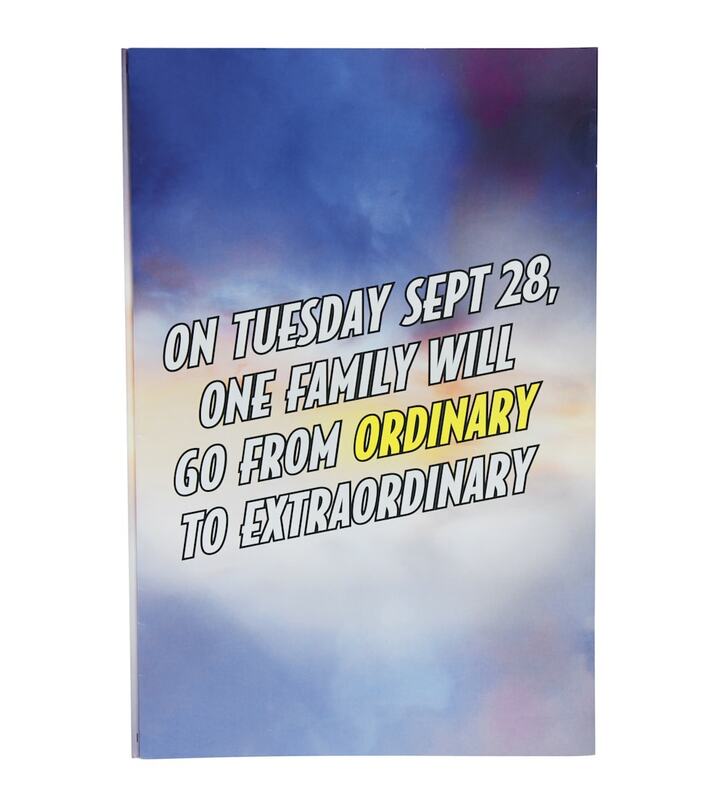 To add even more impact, our paper engineers included a dramatic 1950’s “POW” die cut to further heighten the supernatural quality of this no longer ordinary family. This magazine insert both surprised and delighted readers. 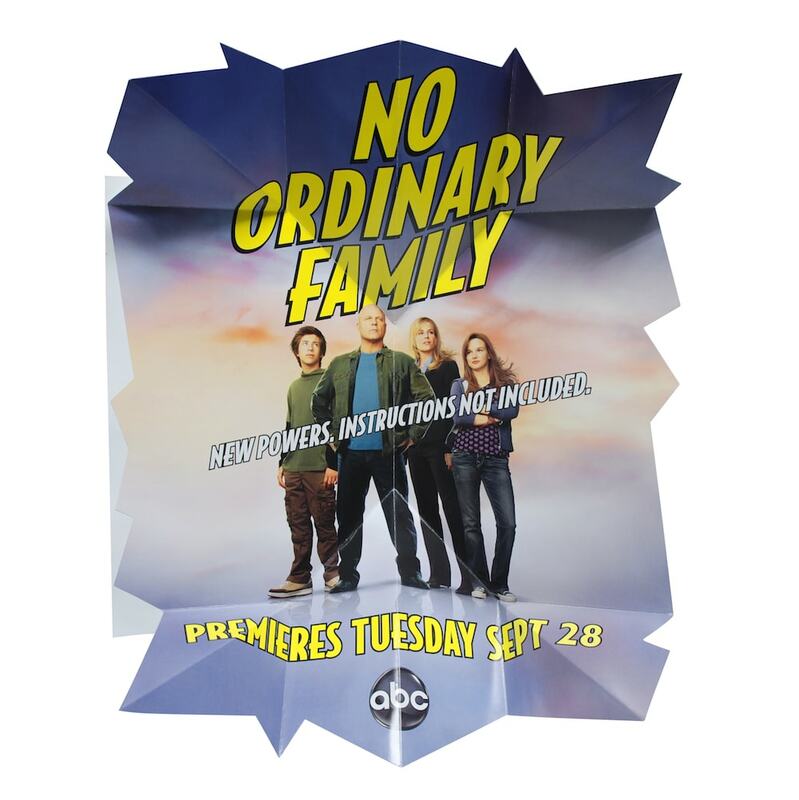 Recall for the No Ordinary Family insert was off the charts resulting in unprecedented awareness with its target audience and a huge marketshare for the premiere. And, given the economy nature of the insert, an exceptional value to boot. For No Ordinary Family this was mission possible!